Rain chances drop Friday (March 1) just in time for the evening Mardi Gras parades. There’s still a slight chance of rain, but thunderstorms aren’t likely. The Mystic Krewe of Hermes rolls at 6 p.m. on the traditional Uptown route. 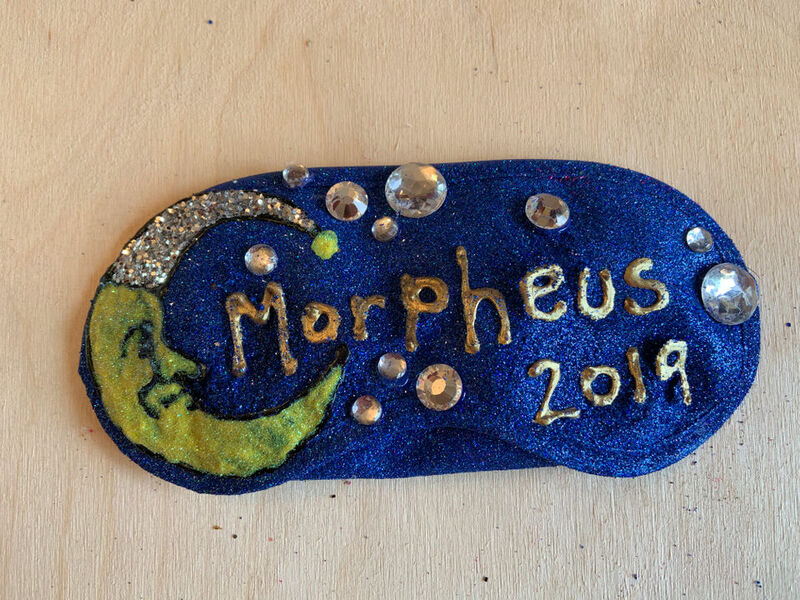 Krewe d’Etat rolls at 6:30 p.m. and Morpheus rolls Uptown at 7 p.m. The National Weather Service in Slidell said rain and scattered thunderstorms are likely during the day Friday, but rain chances go from 60 percent to 20 percent starting at 6 p.m. Rain chances stay low through Sunday morning, when they go back up to 80 percent. Temperatures should be in the low-70s when the parades roll Friday night. The forecast looks good right now for Endymion on Saturday, but not so good for Thoth on Sunday. See the full forecast below. Catch a fake bone and a Dictator hat at Krewe d'Etat, which rolls Friday on the Uptown route at 6:30 p.m.
Look for sheep doubloons, dreamcatchers and light-up beads when the krewe rolls Uptown. Friday (Hermes, d’Etat, Morpheus): A 60 percent chance of rain. Mostly cloudy, with a high near 76. New rainfall amounts between a tenth and quarter of an inch, except higher amounts possible in thunderstorms. At night, a 20 percent chance of rain before 9 p.m. Otherwise, cloudy, with a low around 64. Saturday (Endymion, Iris, Tucks): A 20 percent chance of showers. Mostly cloudy, with a high near 76. At night, a 20 percent chance of showers. Mostly cloudy, with a low around 67. Sunday (Bacchus, Thoth, Okeanos, Mid-City): 80 percent chance of rain. High near 79. At night, showers likely, mainly before midnight. Mostly cloudy, with a low around 44. 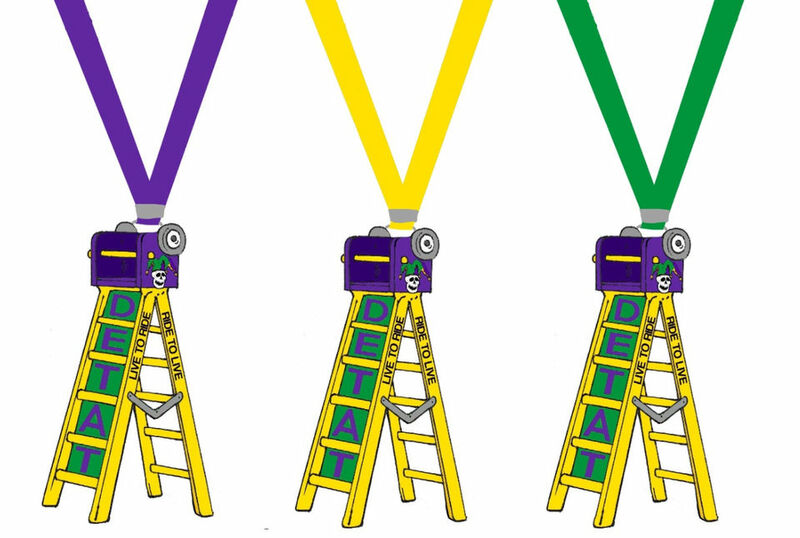 Lundi Gras (Orpheus): Mostly sunny, with a high near 54. At night, partly cloudy, with a low around 41. Mardi Gras (Rex, Zulu): Sunny, with a high near 52. At night, clear, with a low around 40. Ash Wednesday: Sunny, with a high near 55. At night, mostly clear, with a low around 47. See the full forecast from the National Weather Service. 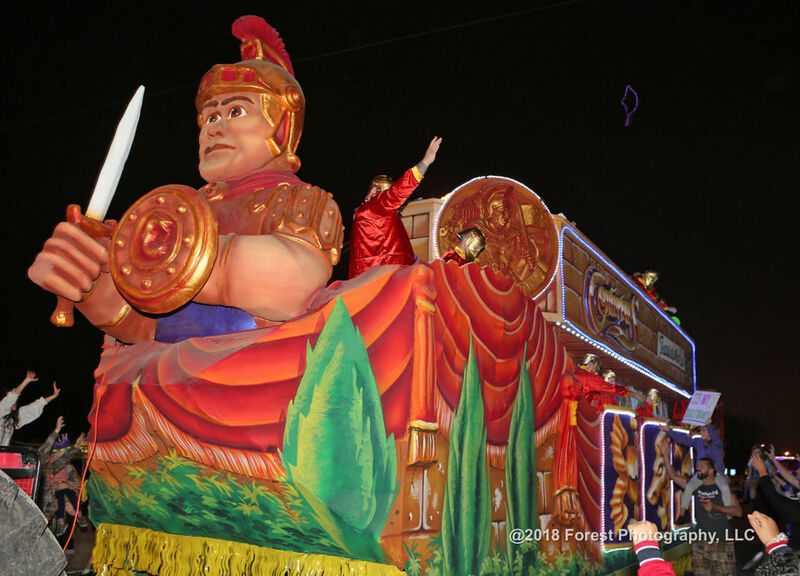 What 6 Mardi Gras parades roll on Friday (March 1) ? Scores of floats will ply the streets from Uptown to Slidell on the final Friday.